Out of a pool of 120 aspiring opera singers from across the country, eight were selected to compete at Centre Stage: Ensemble Studio Competition on November 3, 2015, our annual celebration of the next generation of opera stars selected from nationwide auditions for the COC Ensemble Studio—Canada’s premier training program for young opera professionals. The competition features the young singers vying for cash prizes ranging in value from $1,500 to $5,000. We interviewed our eight young finalists to learn more—check out all of the interviews, linked by name as they become available, here (or here if on a mobile device). Stratford, Ontario native and soprano Eliza Johnson studied at the University of Toronto, where her roles included Governess in The Turn of the Screw, Adina in L’elisir d’amore, Despina in Così fan tutte, Rob Ford’s Mother in Rob Ford: The Opera and Lucy in The Telephone. Additional credits include Susanna in The Marriage of Figaro (Highlands Opera Studio); Berta in The Barber of Seville and Soeur Valentine in Dialogues des Carmélites (Opera Theatre of St. Louis); Pamina in The Magic Flute (Opera Lyra’s Opera Studio); and concert appearances with the University of Toronto and Stratford symphony orchestras, and Stratford Summer Music. 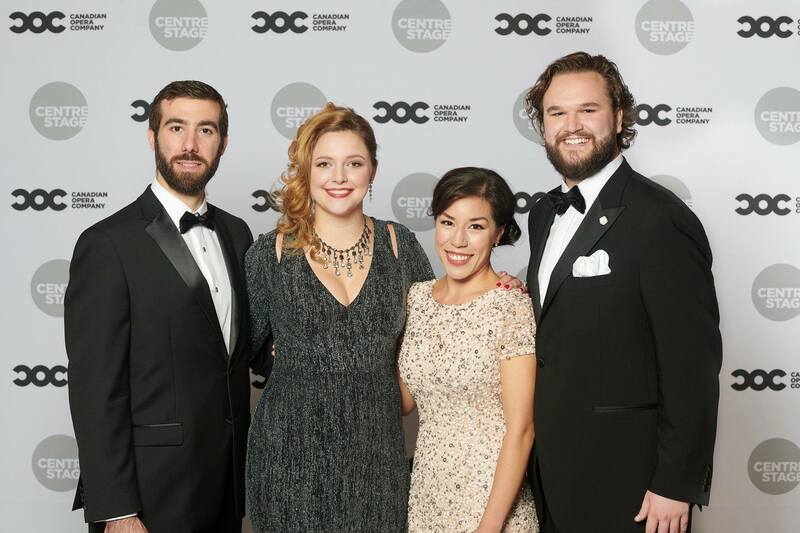 Recently, Ms. Johnson won First Prize in the Brian Law Opera Competition with the National Capital Opera Society and was a finalist for the Ryan Center at the Lyric Opera of Chicago.